A rather mysterious express, with five blue S3 and Lj sleepers, a diner and a van by CIWL did run from 1955 for a few years from Madrid to Algeciras - the Castellano Expreso, hauled by the powerful 241F2200 Mountains. It was a special, exclusively for passengers of the American Export Line, which connected the Levante with the United States, at Madrid Atocha announced as the “Castellano Expreso Madrid - Algeciras - New York”. 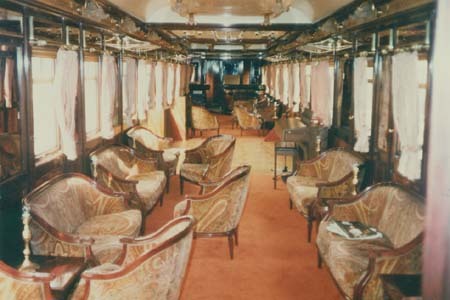 In 1960 a folder described it also with 1st and 2nd coach class. 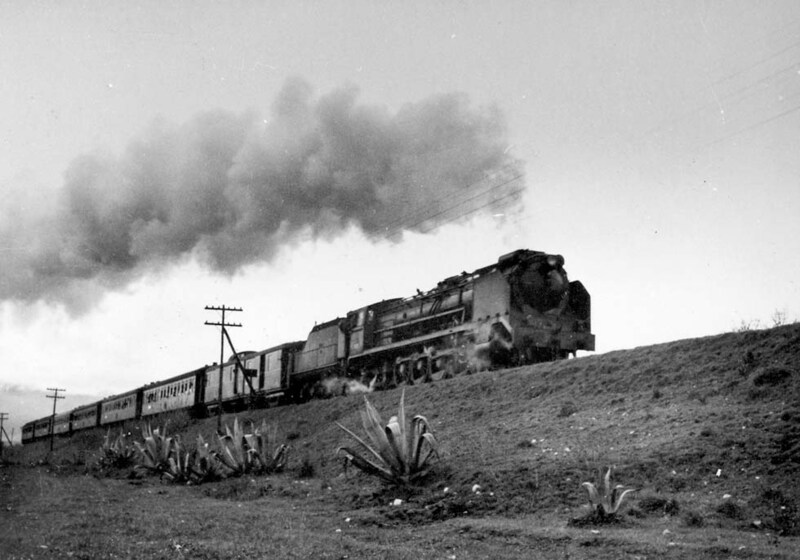 The train ended soon, together with the Ocean liner services of the connecting steamers “Constitution” and “Independence”. Quite another special appeared in 1985: Al Andalus, a nostalgic tourist de-Luxe offering round trips in Spain, then only in the south, starting at Sevilla. It consisted of rebuilt ex-CIWL LX sleepers, also with suites, refurbished casino, bar and dining-cars, temporarily also new YFT sleepers, painted brown/cream. A typical formation, according to J. Aranguren, was a staff sleeper, two vans, 3 sleepers, 3 diners/bar and a generator van. 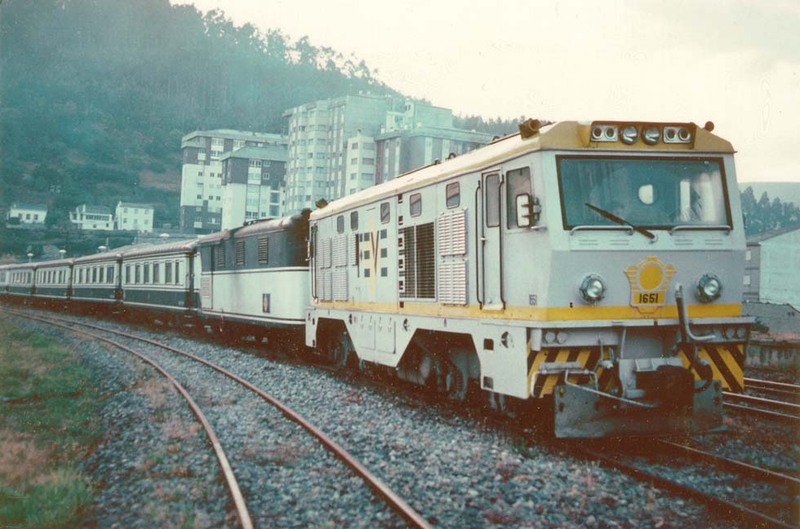 Another tourist special, the Transcantabrico, was introduced in 1983 on meter gauge in the north for round trips between Leon, Bilbao, Santander and El Ferrol. The dark-blue/cream colored cars by FEVE were sleepers rebuilt from railcars, modernized saloons and old Pullmans "Coche Salon Buffet", built in 1928 for FC Vascongados.